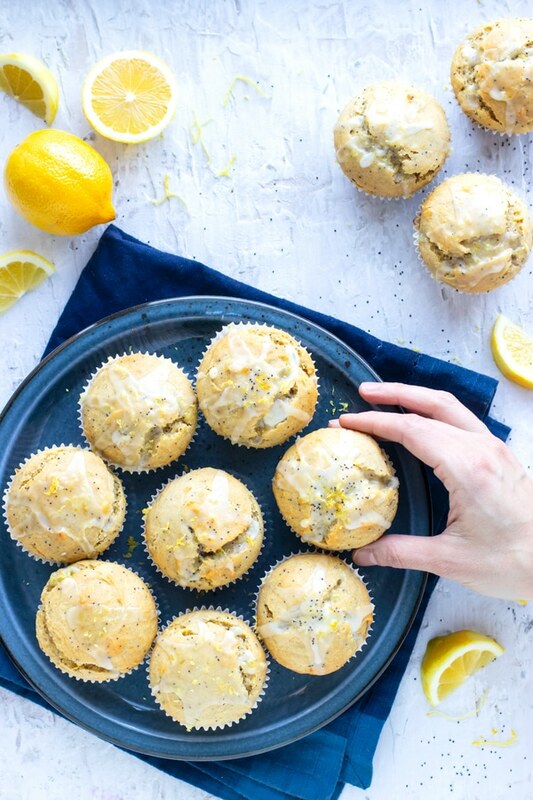 Lemon Poppy Seed Muffins are bursting with fresh lemon flavor and made healthy by using a gluten-free flour, dairy-free coconut oil, and honey as a natural sweetener. These easy and healthy muffins can be enjoyed for breakfast, snack, or even dessert and are a perfect Spring or Easter brunch recipe! Healthy breakfast muffins are such an easy way to eat breakfast on-the-go. 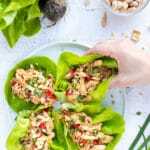 Other muffin recipes you might like include these Lemon Zucchini Muffins, Paleo Chocolate Banana Muffins, and Healthy Banana Nut Muffins. 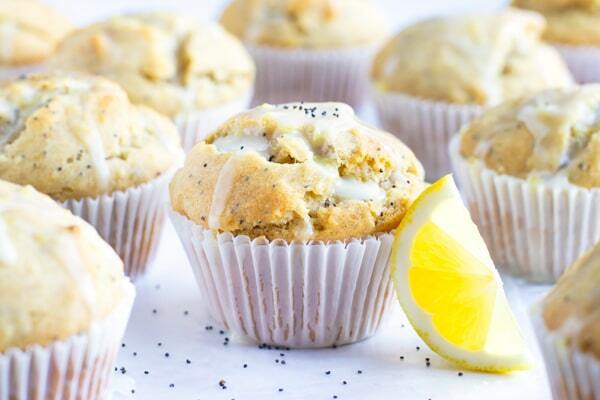 Welcome Spring with Lemon Poppy Seed Muffins! Spring is almost here!! 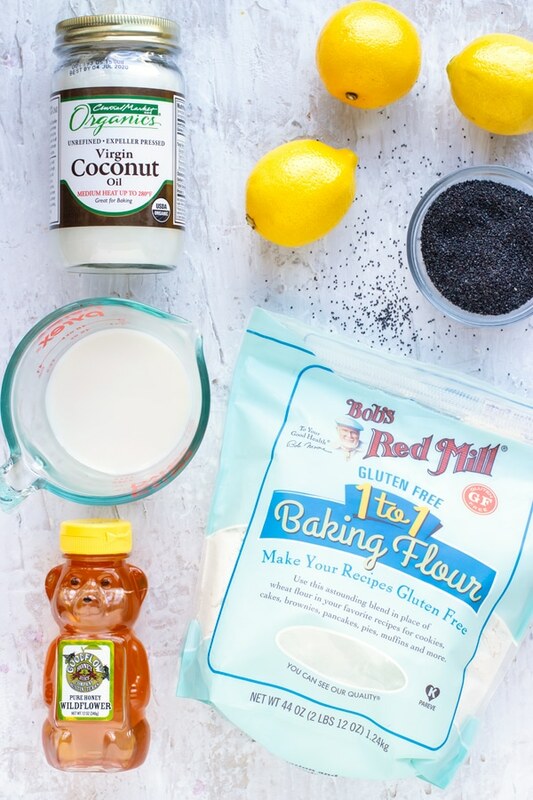 The bluebonnets are in full bloom, the trees are turning green, and our house has been bursting with batch after batch of these easy and healthy lemon poppy seed muffins. You think I am kidding? One thing is certain, testing and tweaking breakfast muffins that are made dairy-free and gluten-free normally results in SO many test batches that I do not know what to do with them. Luckily I have TONS of friends and family who are more than happy to take one for the team and try out 2 or 3 versions of this easy lemon muffin recipe. But the best part? You can rest assure that this healthy breakfast muffin recipe has been through the ringer and is the absolute BEST healthy lemon muffin recipe you will find on the web… and even better than any lemon muffin you would find in the store or your favorite cafe! 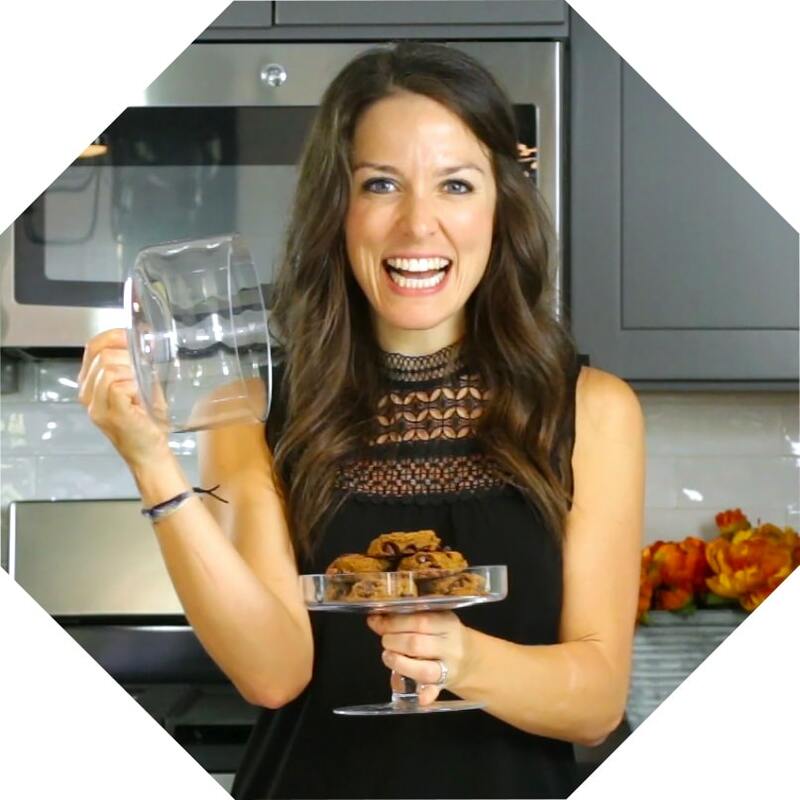 So without further ado, let’s dive into how to make lemon poppy seed muffins, ingredients you will need, substitutions you can make, tips for perfectly fluffy muffins, variations you can try, and other breakfast muffin recipes you might like! Making lemon poppy seed muffins is very much like other breakfast muffin recipes you might have tried. It is a quick and easy process and only requires a few steps. 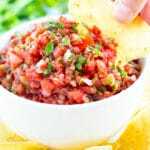 Combine your wet and dry ingredients and mix until JUST smooth. Add fresh lemon zest and poppy seeds into the muffin batter. Fill muffin tray with muffin cup liners. Pour enough batter into each cup until it is almost full. Bake lemon poppy seed muffins in preheated oven for 24-26 minutes, or until toothpick inserted into the center comes out clean. Whisk together muffin glaze ingredients and drizzle over cooled muffins. Enjoy! Gluten-free Flour: Bob’s Red Mill 1-to-1 is the gluten-free flour that is used in this recipe and has the best results. Coconut Oil: Using coconut oil in place of butter makes the muffins extra moist and also dairy-free. Almond Milk: In order to keep these muffins completely dairy-free, almond milk is used in place of regular milk. 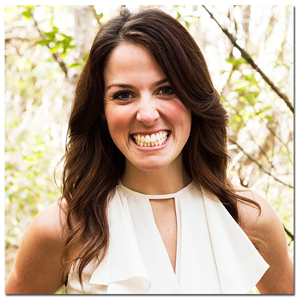 Honey: Instead of using your typical processed white sugar, local honey is used. Eggs: Pasture-raised organic large eggs help give these muffins their fluffy texture. 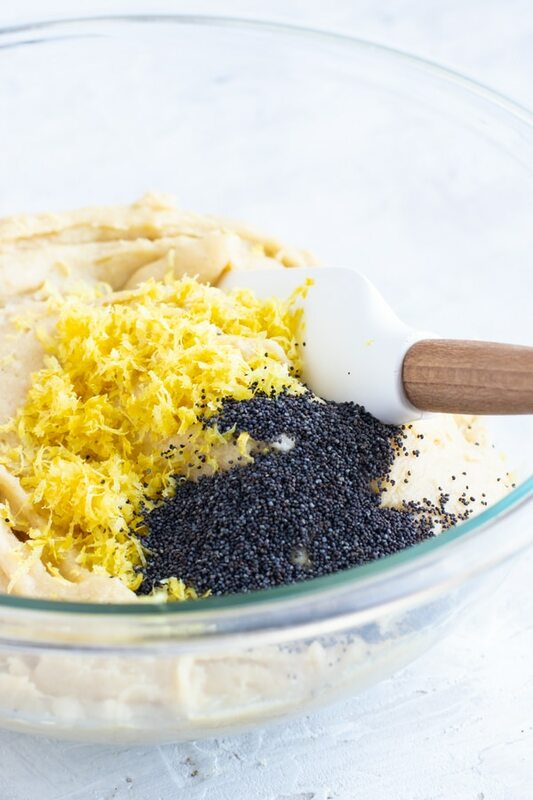 Baking soda, vanilla, fresh lemons, and poppy seeds. Regular all purpose flour can be used in place of the gluten-free flour. 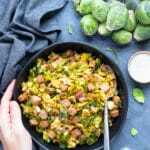 Butter can be substituted for the coconut oil if not dairy-free. 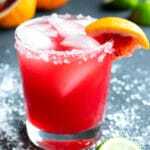 Honey can be replaced with agave nectar or maple syrup. Soy milk, cashew milk, or regular milk can be used instead of the almond milk. 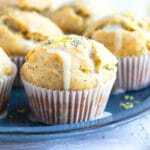 You can try to substitute flax eggs for the regular eggs to make these vegan lemon muffins, although I have not personally tested this variation. If you want to leave off the lemon glaze on this muffin recipe, you have my FULL permission. They will still taste incredible and will be completely refined sugar-free. However, if you are down to splurge just a bit, this lemon glaze is DA BOMB and takes this lemon poppy seed muffin recipe over the top. And it is SO flipping easy to make. I mean seriously. You will only need powdered sugar, a touch of milk, and lemon zest. Voila!! 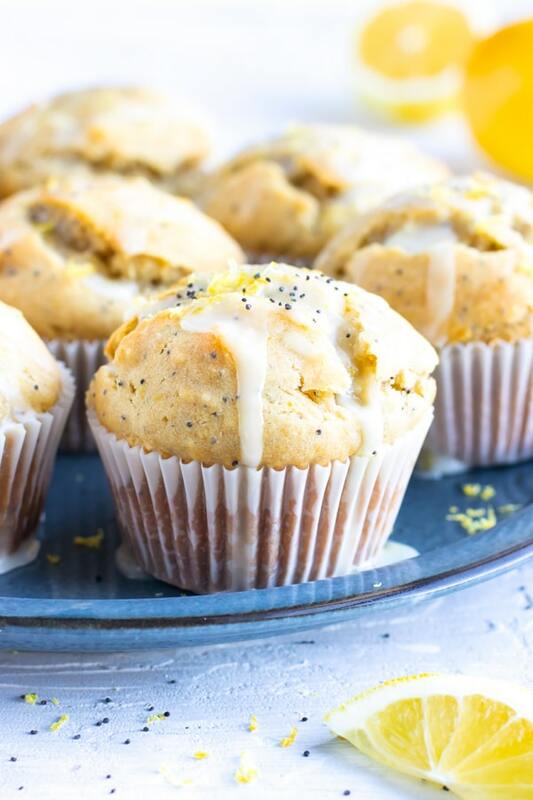 The perfect lemon glaze to fancy up this lemon poppy seed muffin recipe. 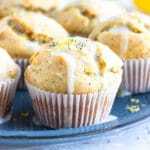 Much like other breakfast muffin recipes, there are a few tips and tricks when it comes to making perfectly fluffy and flavorful lemon poppy seed muffins. Let the eggs and milk sit at room temperature at least 30 minutes before preparing your muffin batter. You do not want them to be cold. Do NOT over mix the muffin batter. This will result in dense, not fluffy, lemon muffins. Spray your muffin cup liners thoroughly with non-stick cooking spray to prevent the muffins from sticking to the liners. Refrigerate the muffins between servings to make them last for 3-4 days. Pop these bad boys in the microwave for 20-30 seconds before enjoying. 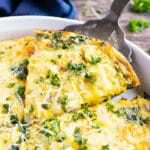 Slather on a touch of butter (if not dairy-free!) 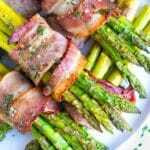 and toast ’em up in the toaster oven. Make sure the coconut oil is COMPLETELY melted. If it is not, the muffin batter will come out too thick. Yes! You absolutely can freeze these lemon poppy seed muffins as well as most healthy breakfast muffins. The best way to freeze leftover muffins is to wrap each muffin individually in wax paper, tape them closed, and then place in a large freezer-safe ziplock bag. Muffins will keep well for 3-4 months in the freezer. 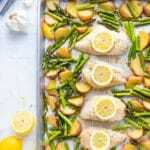 When ready to eat, thaw in the refrigerator and reheat in the microwave, oven, or toaster oven. 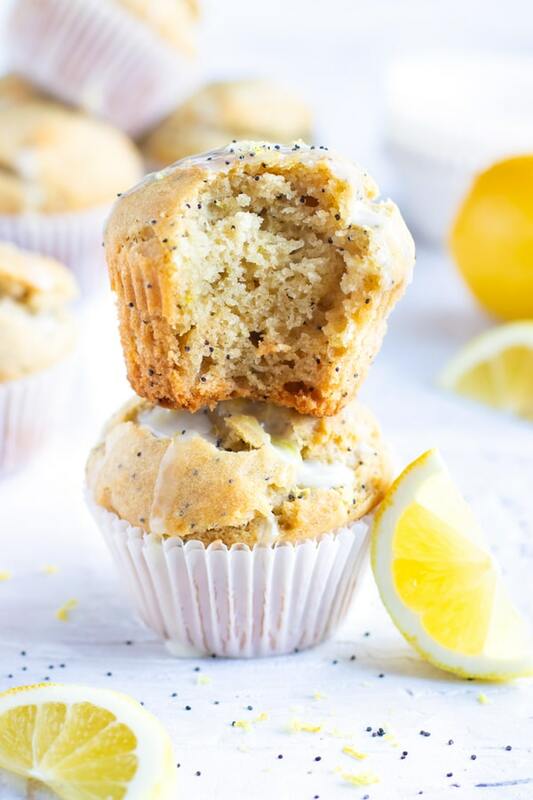 Lemon Poppy Seed Muffins are bursting with fresh lemon flavor and made healthy by using a gluten-free flour, dairy-free coconut oil, and honey as a natural sweetener. 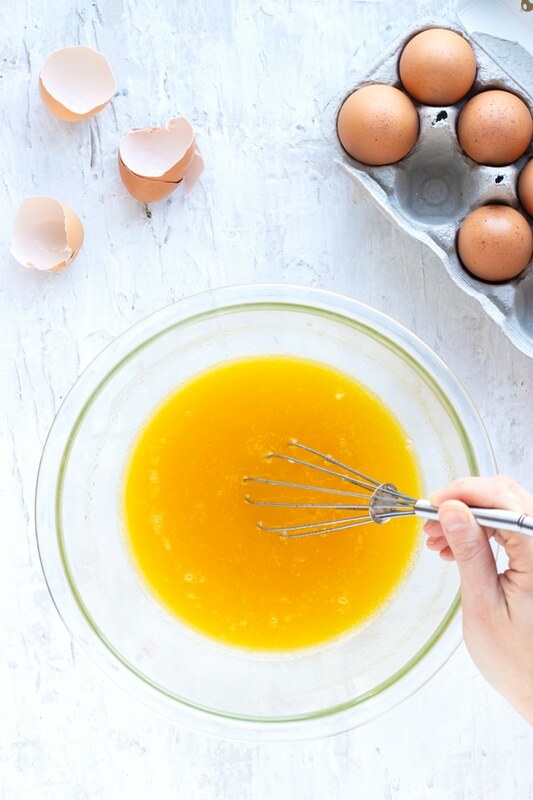 In a medium-sized bowl whisk together coconut oil, eggs, honey, lemon juice, milk, and vanilla. In a separate large bowl combine flour and baking soda. Whisk to combine. Add lemon zest and poppy seeds and mix well. Spray non-stick cooking spray into 12 cupcake liners in a muffin pan. Pour 1/3 cup batter into each liner. Bake muffins for 24-26 minutes, or until a toothpick inserted in the center comes out clean. 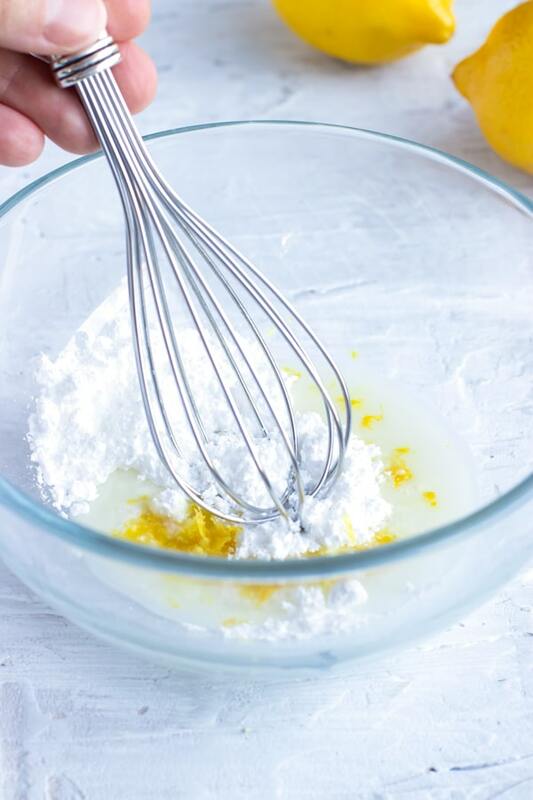 While muffins are baking, whisk together powdered sugar, milk, and lemon zest until smooth. Let muffins cool to room temperature and then drizzle glaze over muffins. Enjoy muffins immediately or store muffins in an airtight container for up to 2-3 days. Regular all-purpose flour can be used in place of the gluten-free 1-to-1 blend. 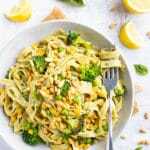 Butter or vegan butter may be used in place of coconut oil. 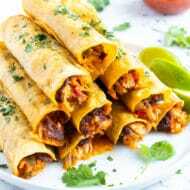 Maple syrup or agave nectar can be substituted for the honey.